This course is intended for all people who write business documents. This includes professional and technical staff, writers, supervisors, and administrative support, as well as human resources, sales, and public relations staff. Participants are expected to be well experienced in basic grammar and writing skills, including sentence and paragraph development, spelling, and punctuation. The primary goal of this course is to master techniques for proofreading and editing quickly and to enhance the clarity, correctness, and professional image of written communications. 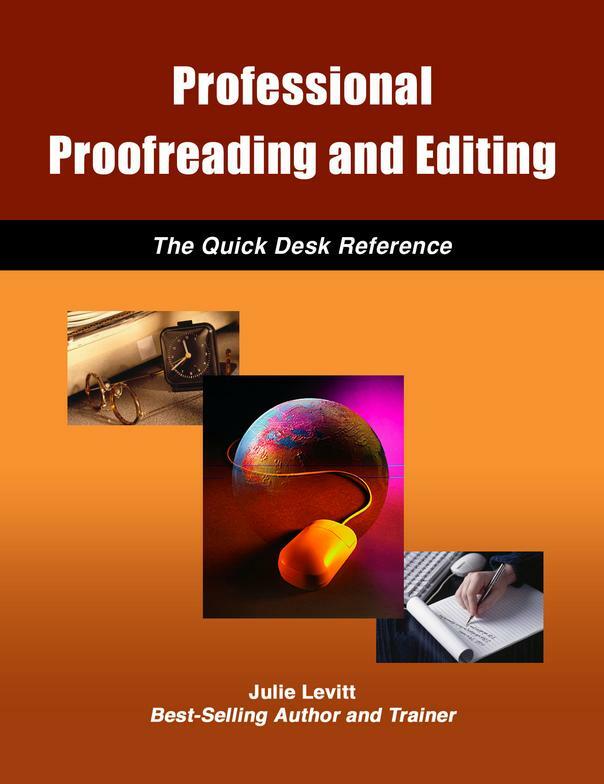 Review and use standard proofreader's marks to improve accuracy of instructions for correction. Check for content accuracy including incorrect or missing facts, sequencing errors, and inconsistencies. Proofread for accuracy of numbers. Correct faulty construction, such as wordiness, redundancy, clumsiness, and triteness. Make writing more readable with parallel structure, correct placement of modifiers, and appropriate use of active voice. Review current business document formats. Apply all the techniques in exercises to reinforce learning and to increase proofreading and editing proficiency. Participants receive a 75-page instructional book that provides hands-on experience and serves as a comprehensive reference for future use. The text reflects current business trends. Strive to Use Specific and Action Verbs; Avoid the Verb "To Be"